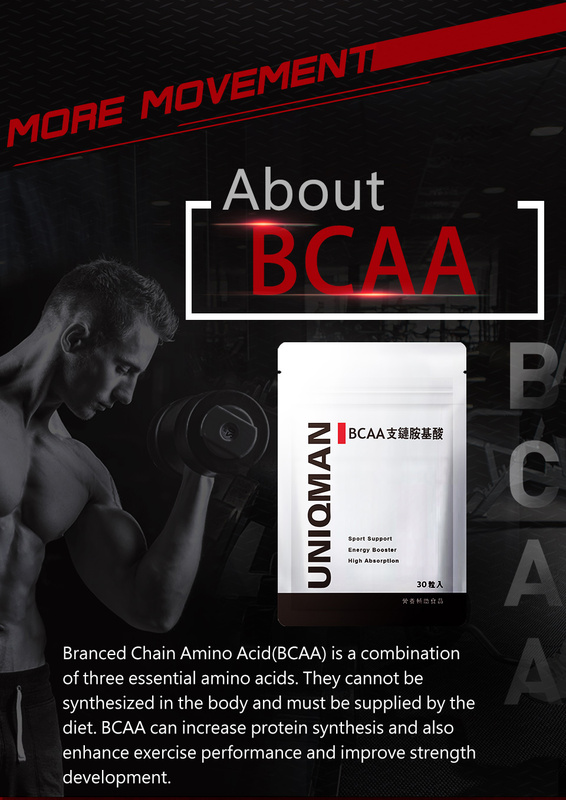 Branched Chain Amino Acid (BCAA) refers to three amino acids: Leucine, Isoleucine and Valine. These essential amino acids cannot be synthesized in the body and thus must be supplied by diet. 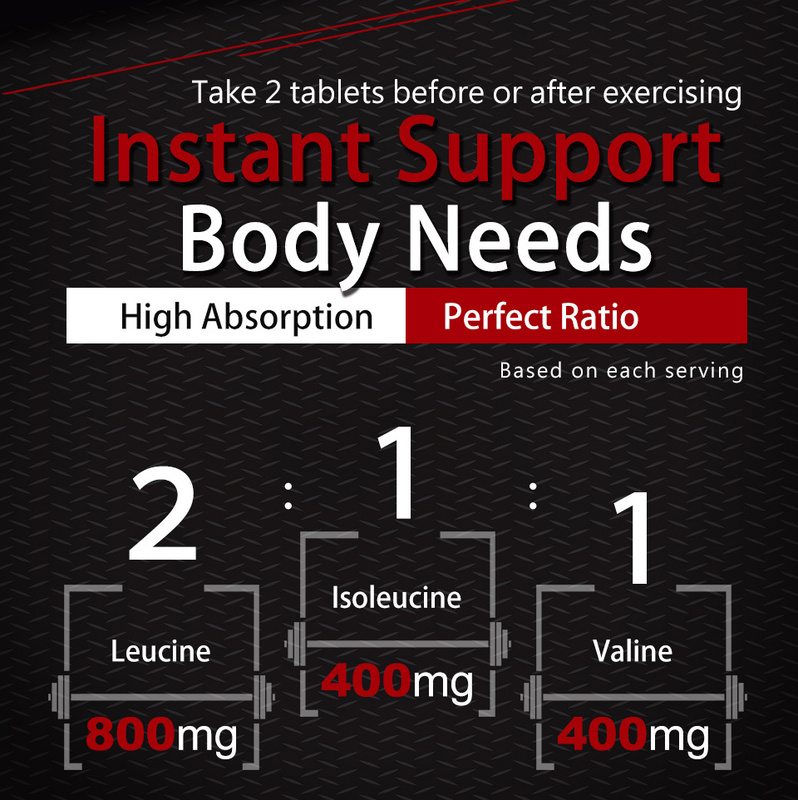 BCAAs are of a special importance to athletes and bodybuilders. 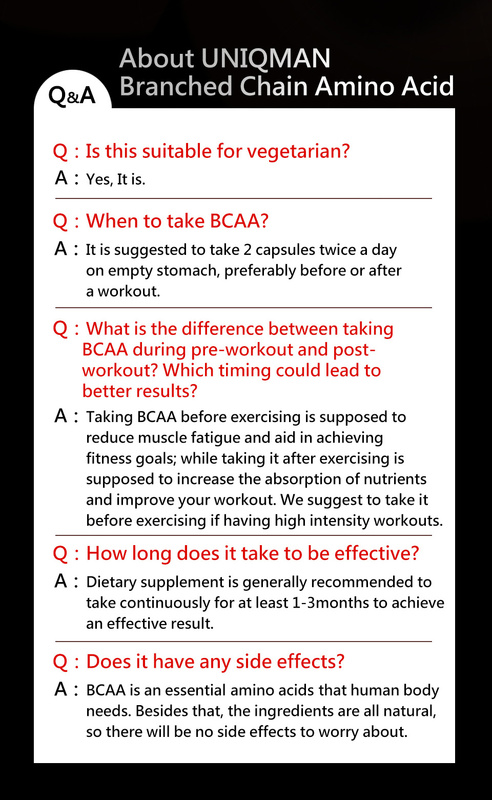 BCAAs are easily absorbed and can increase protein and muscle synthesis. They can also reduce muscle fatigue after exercise, accelerate recovery, enhance exercise performance, and improve strength development. Take 2 capsules on an empty stomach daily , 2 capsule at once. 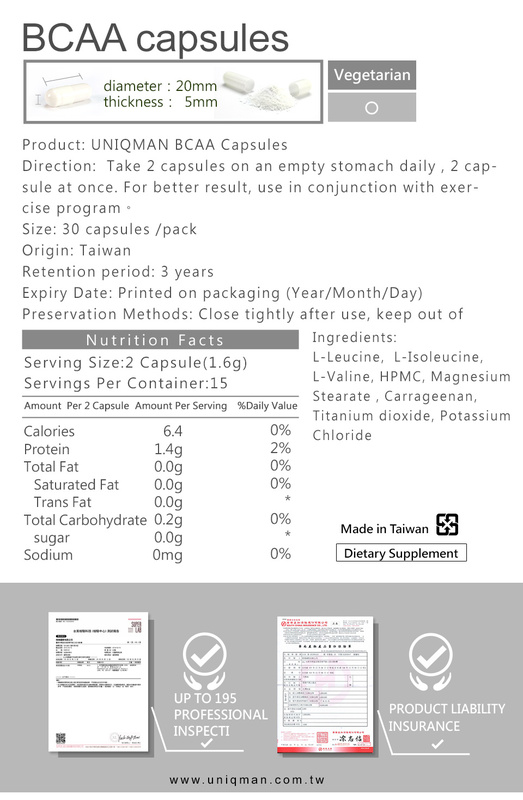 For better result, use in conjunction with exercise program. Preservation Methods Once open, please close tightly after use. 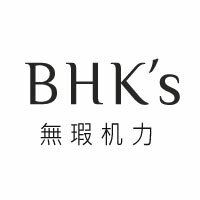 Keep out of direct sunlight, high temperature and moist environment.